Jessica Gleim is Evoz Director of Marketing and also a new mom. Read on for her adventures in motherhood and look below for her other posts on parenting. My son is now 14 months old. He’s moving from baby to official toddler status. And with that, we have lots of teeth and lots of opinions. He’s working on talking, walking and being independent. I’ve been lucky enough to not need to leave him yet, so as I planned my first trip away from my baby for the influencer and brand conference ALT Summit, I felt confident and ready (and only a little a tiny bit sad). My biggest fear in leaving him wasn’t that he would miss me or that something would go wrong — it was that he would take his official first steps and I wouldn’t be there. I asked my husband to specifically not encourage walking while I was away 😉 Luckily my son waited until the day after I came home. I did two things that I think were really helpful to leave without worry. First, I wrote out all the emergency contacts, doctor’s information and anything else our childcare provider might need to know in case I wasn’t able to take her phone call. I did this a few days before I left, which gave me some time to think through if I included everything. I also bought extra Tylenol, Motrin, and Benadryl — just in case. Second, I did some fun things for myself which helped me stay in excitement mode instead of worry mode. I rented some fun clothing to wear from Rent The Runway. I don’t wear too many fashionable things in my mom-work life (and also, bodies change) so I really had a blast planning outfits and trying out some new styles. I got my hair done as well as a manicure and pedicure. It helped me to feel put together and collected, without feeling frazzled before take off. 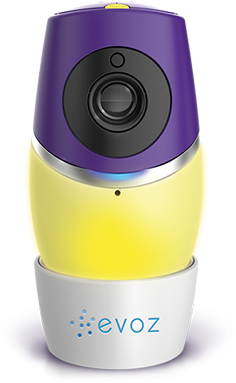 Related: Do I Really Need a Baby Monitor? I didn’t have a lot of time to FaceTime or check in during the day. I was bouncing around panels and roundtable discussions with a lot of hustle and bustle. I tried to do a FaceTime call after I checked into my hotel room, but my son was too busy playing with his cousins to do much more than a quick wave and a “mama”. I did receive lots of pictures from our nanny during the day which I loved but the best connection I had to my son while in another state was my monitor. As a 14 month old, he’s still on two naps a day. 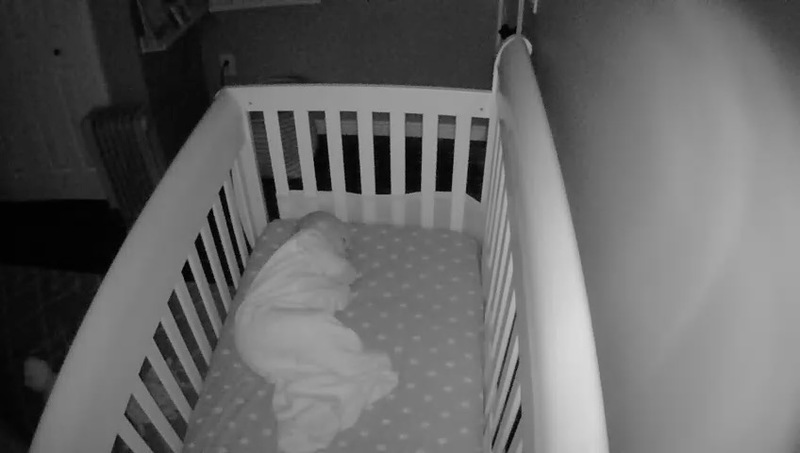 I knew he would be taking his morning nap around 9:30am, his afternoon nap around 2:00pm and bedtime at 7pm. It was really pretty fabulous to sit at breakfast or lunch with some new friends, turn on my Evoz Baby app, and watch my son going down for a nap or happily snoozing. Evoz truly helped keep my mommy guilt at bay so that I could enjoy my first time away from my son, learn new things, and make new friends. Even though I was miles away and in a different time zone, I was able to check in on home and feel connected. 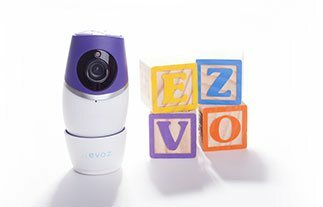 Check out how Evoz Vision can help you feel connected while away from your baby.